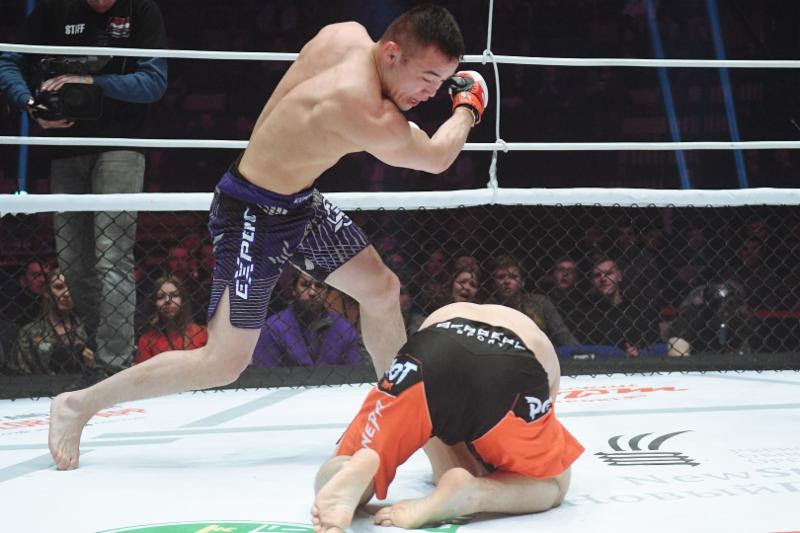 SAINT PETERSBURG, Russia (March 10, 2018) -- Former M-1 Challenge featherweight champion Ivan "Buki" Buchinger rebounded from his title loss last November with an impressive win over Andrey Krasnikov in tonight's M-1 Challenge 89 main event, at M-1 Arena in Saint Petersburg, Russia. 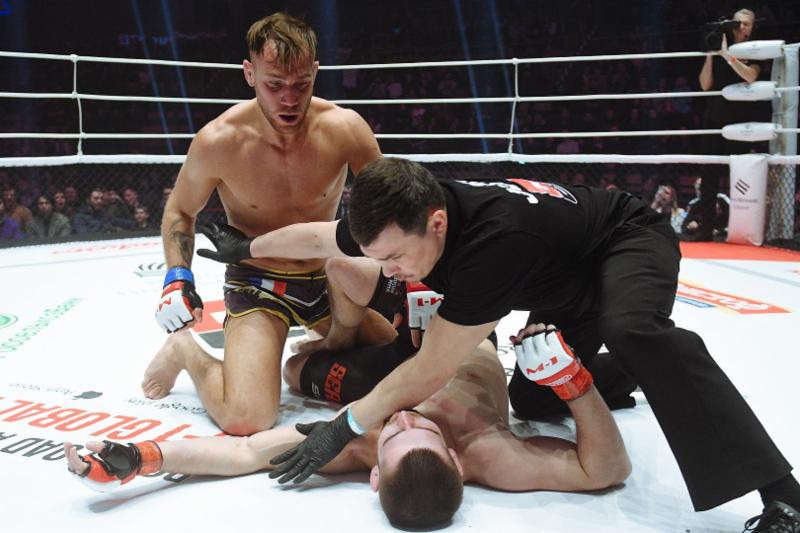 Buchinger's strong comeback against his Ukrainian opponent, Krasnikov (14-4-0), who had won 13 of his last 14 MMA fights going into his showdown with Buchinger, should position the Slovakian for a possible rematch with Dalgiev. 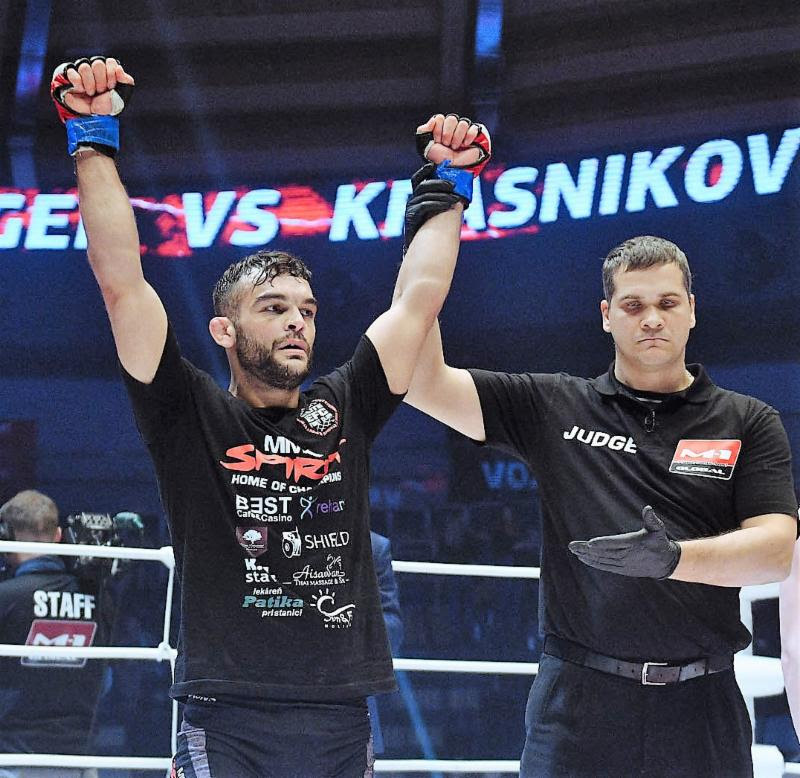 Russian featherweight contender Viktor Kolesnik (12-3-1) went to the ground with a effective Guillotine Choke for a first-round triumph by submission over M-1 Global-debuting David "Davi Boxer" Silva de Souza (8-3-0), of Brazil, in the co-featured event. 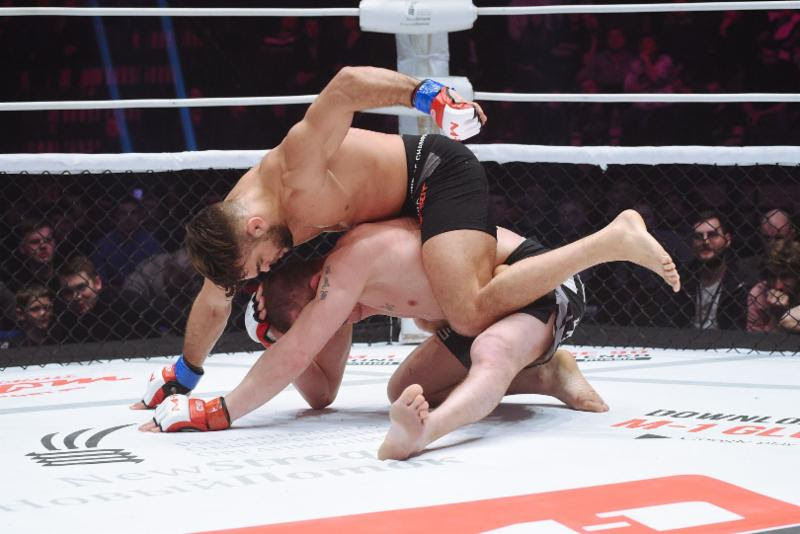 French lightweight Mickael "Ragnar" Lebout (17-8-2) turned in an impressive M-1 Global debut, knocking out Belorussian challenger Sergey Faley (20-11-0) on punches in the opening round. On the preliminary card, Georgian flyweight Vazha Tsiptauri (4-1-0) used a Guillotine Choke to force Dimitar Kostov (9-5-0), of Bulgaria, in a second-round submission; Ukrainian light heavyweight Denis Vygovsky (7-3-0) won a three-round majority decision over Brendson "Zyzz" Ribeiro (9-3-0), of Brazil, and Russian featherweight Nikita Solonin (4-1-0) stopped Elizar Tariku (3-1-0) in the first round on punches. Ali Albogachiev (5-0-0) punched out Rasul Magomedov (7-0-0) in the first round of a fight between undefeated Russian lightweight prospects, while Russian featherweight Ivan Kibala (3-0-0) stopped Spaniard Daniel "Diamond" Vasquez (4-3-0) in the second round on punches. ABOUT M-1 GLOBAL: Founded in 1997, M-1 Global has established itself in Mixed Martial Arts (MMA) as the premier entity for discovering and developing the world's next-generation of superstar fighters. With its office in St Petersburg, Russia, the M-1 brand has staged more than 200 events worldwide, including M-1 Selection, M-1 Challenge, M-1 Global and M-1 Global HWGP events, in addition to co-promoting Strikeforce events and M-1 Global on the U.S. network, Showtime. 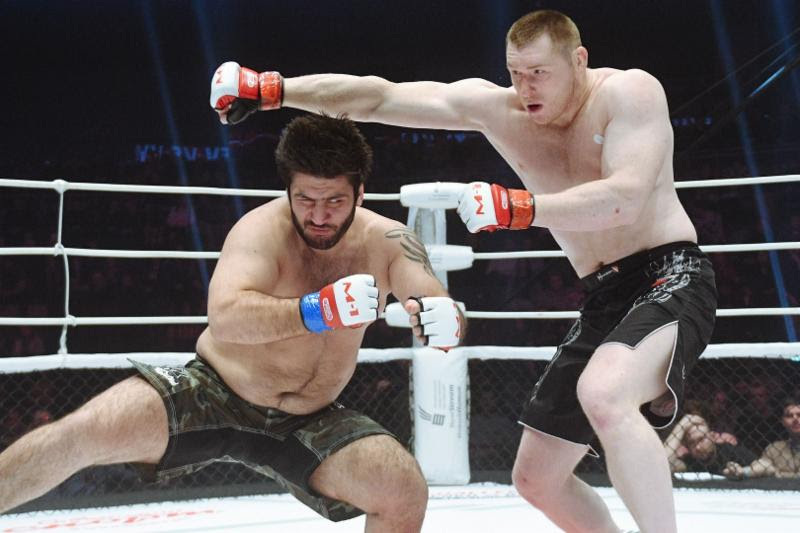 Captivating live, television and broadband audiences with its superior production values and match-ups, M-1 Global events have featured some of the sport's top names, including legendary heavyweight Fedor Emelianenko, Andrei Arlovski, Gegard Mousasi, Alistair Overeem, Keith Jardine, Ben Rothwell, Melvin Manhoef, Sergei Kharitonov, Aleksander Emelianenko, Roman Zentsov, Yushin Okami, Mike Pyle, Denis Kang, Martin Kampmann, Amar Suloev, Chalid Arrab and Stephan Struve. 2017 was another sensational year of world-class competition, featuring a full calendar of Challenge events, fueled by a talent-rich contention system ranking M-1 Global Champions among the greatest fighters in the sport.